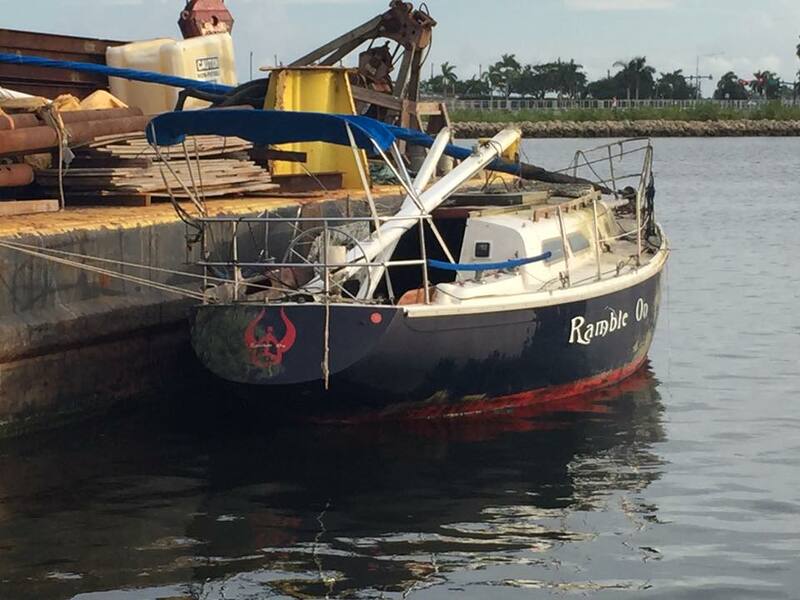 If you’ve been down to the waterfront in the last couple of weeks you will have noticed that one of the boats along that was anchored in the Intracoastal Waterway had begun to take on water and had seemingly been abandoned by it’s owner. 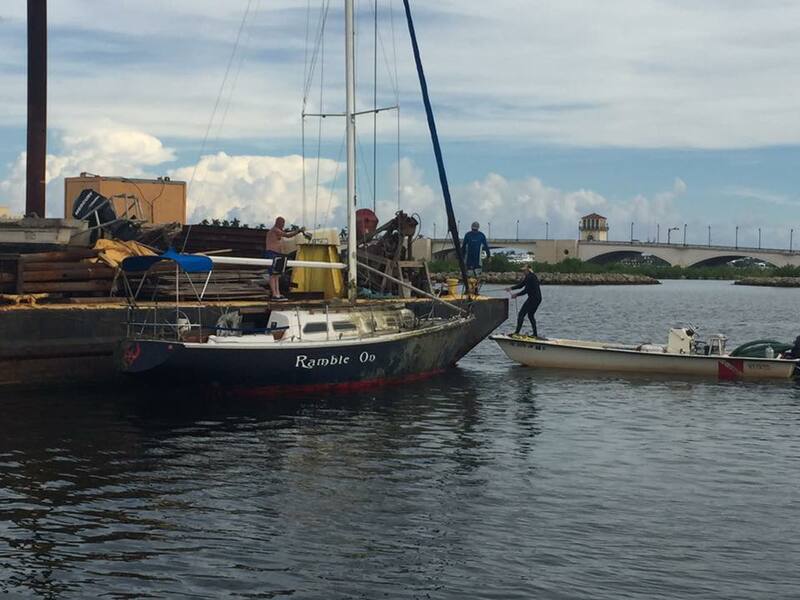 The Lagoon Keepers, a non-profit that is dedicated to the keeping the ICW clean for everyone to enjoy stepped up and through their D.A.V.E program was able to remvoe the vessel from the water. “Derelict Abandoned Vessel Eradication Initiative” (D.A.V.E.) 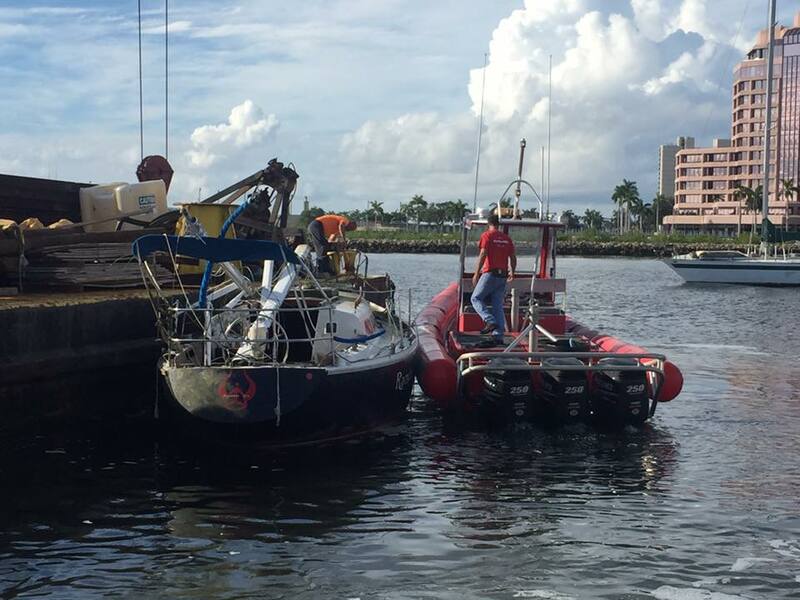 This program starts with keeping a database on every vessel anchored out in the navigable waters of Palm Beach County Intracoastal Waterway. By having this information we are able to notify the owner of any vessel in time of need for that vessel, i.e. if it breaks loose, takes on water or drags anchor. Thus minimizing damage to the vessel, other property or the environment. 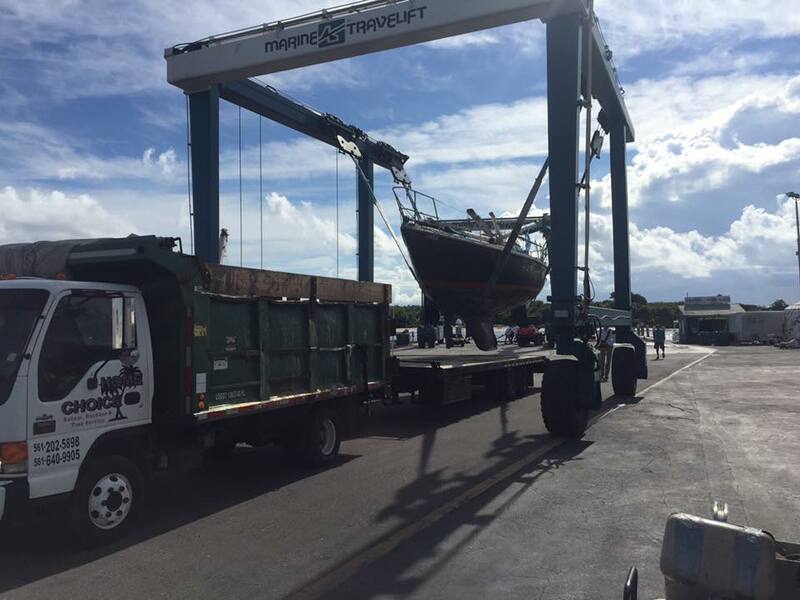 We do not tow boats, catch boats or reanchor boats, we notify owners so they can take care of their problem. 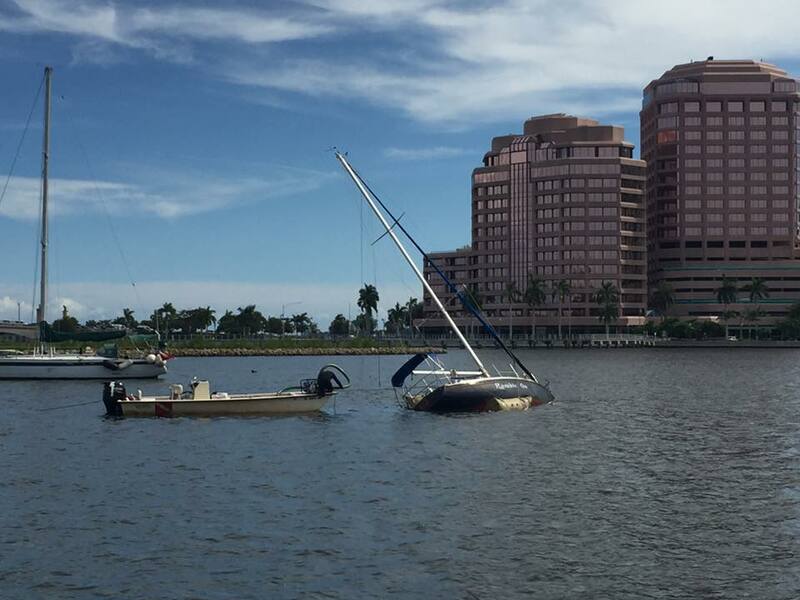 We try and remove boats while they are still floating. 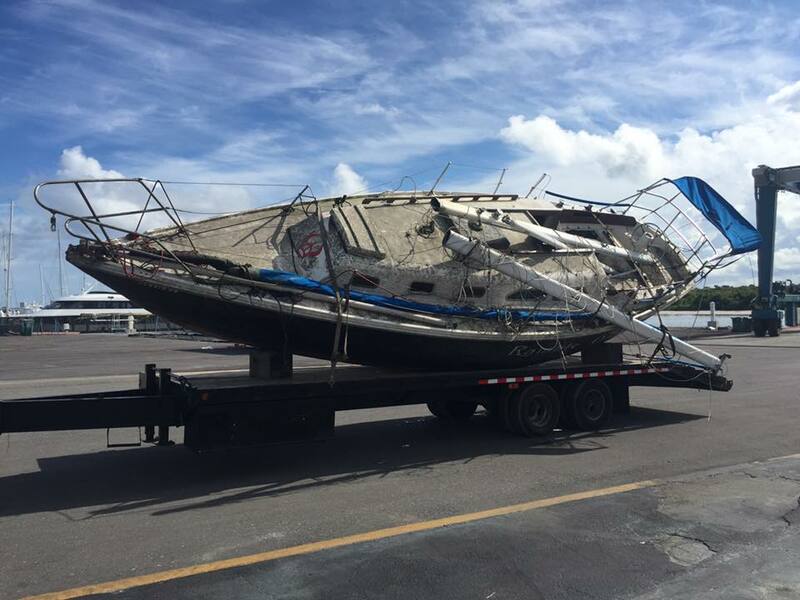 There are only two ways we can remove a vessel from the water, those are by owner permission or Law Enforcement Directive. Each vessel we remove, a plan is made that is tailored to that vessel and the circumstance, i.e. depth of water, condition of the vessel etc. Sometimes it is as simple as waiting for low tide and pumping the vessel out and sometimes we have to hire a barge and crane. Here are some pictures that the Lagoon Keepers posted on their Facebook Page. Along with the posting the pictures on Facebook, the Lagoon Keepers team answers questions about their work, and the often tricky boat removals. 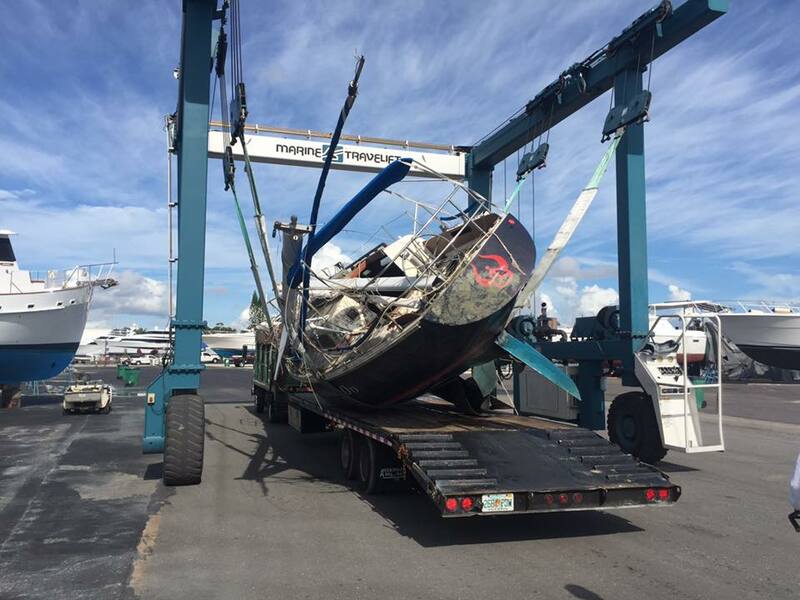 Jan asks: Are there consequences for abandoning their boat? Lagoon Keepers answers: The removal cost are applied to their drivers record and they can not register a car or boat until they have paid for the removal. Have yet to recover any cost from owners through the DMV. 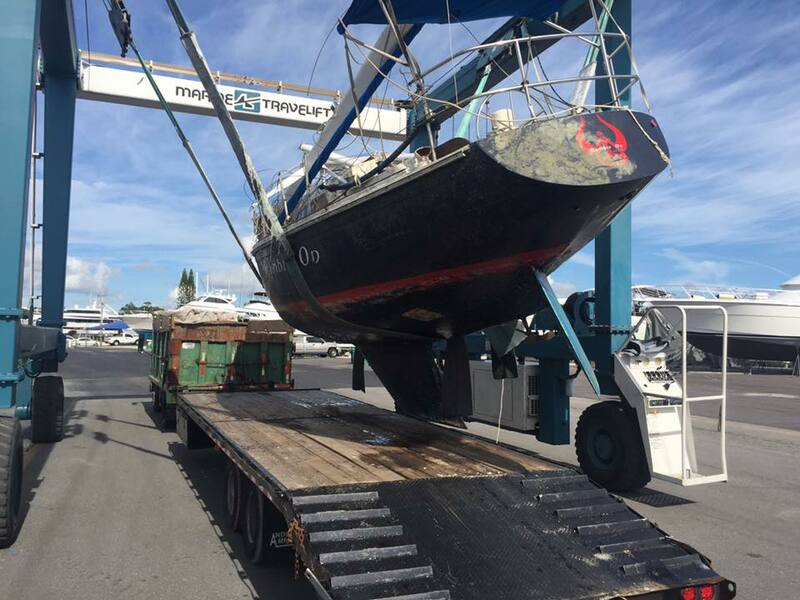 Lagoon Keepers answers: Every vessel is different, floating, sunk, condition and type, how long it has been sunk etc etc etc… , just to junk a boat, the SWA charges $45.00 per ton delivered to them. 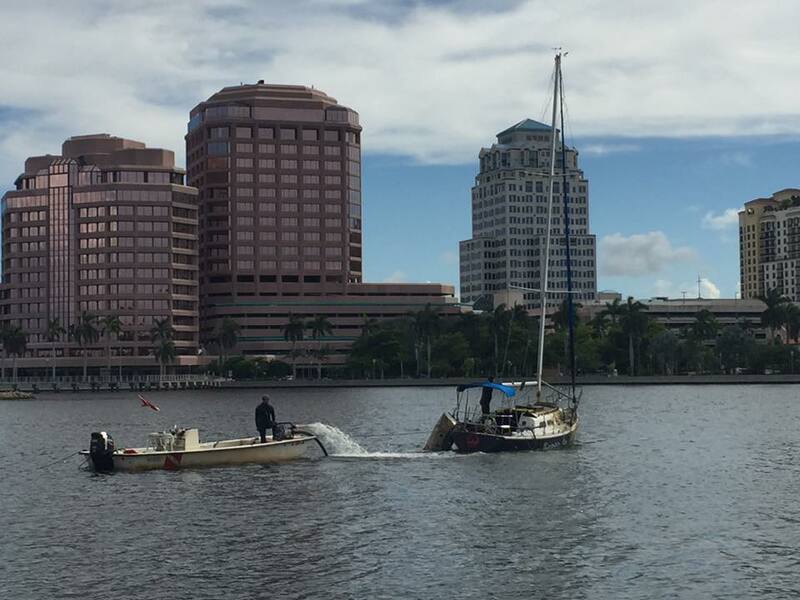 Like what the Lagoon Keepers are doing to keep the Intracoastal clean? You can help by joining their Kayak to Cleanup program & have some fun while you’re at it. Family Membership is $100/year Read more here.